I grew up eating Japanese milk bread, except I never knew it as such. I always thought of it as a Chinese specialty because weekly trips with my mom to the Chinese bakery featured milk bread in various iterations: pineapple buns, hot dog buns, pork floss buns. But the foundation of my school lunches was the milk bread baked into the shape of a square Pullman loaf, then partitioned into neat slices. 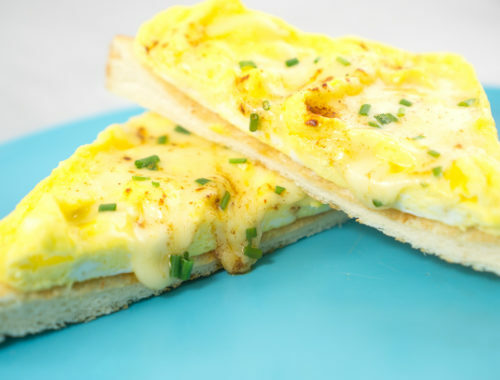 Untoasted, the square bread would pull away in soft, cottony chunks, tender yet slightly chewy. Toasted, the square bread took on a whole different quality: the outside would form a buttery-crisp crust, which would yield immediately to the pillowy insides. If all you’re familiar with is supermarket-quality white bread, this square bread will transform your life. 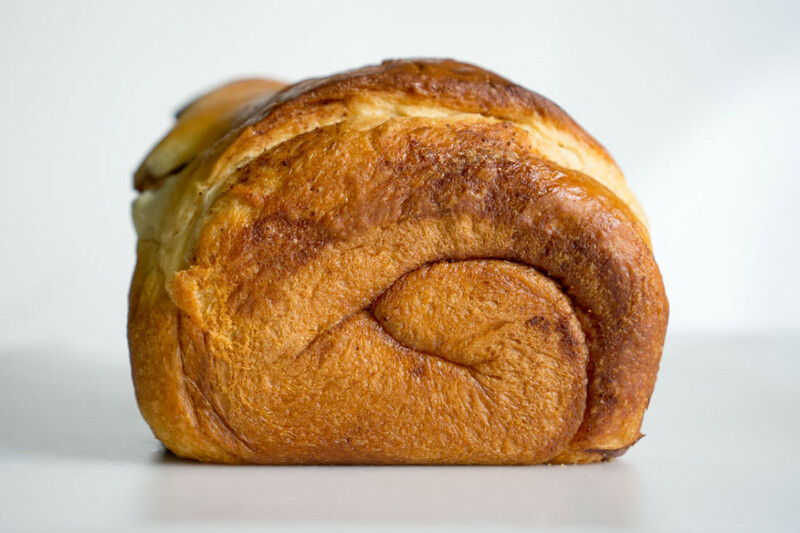 I tried brioche for the first time as a young adult, likely during my college years, and frankly, didn’t get the hype. In comparison to the Japanese milk bread I had grown up eating, brioche tasted heavy and dry. I tried it again and again over the years, but never fell in love with it. You see, my heart was always with Japanese milk bread. A year or so ago, my husband and I visited Milo and Olive, a bakery-restaurant in Santa Monica that makes fantastic pastries. My husband got excited when he saw that they carried a cinnamon sugar-swirled brioche, so we promptly purchased one of the huge loaves to take home. The loaf barely made it through the afternoon. 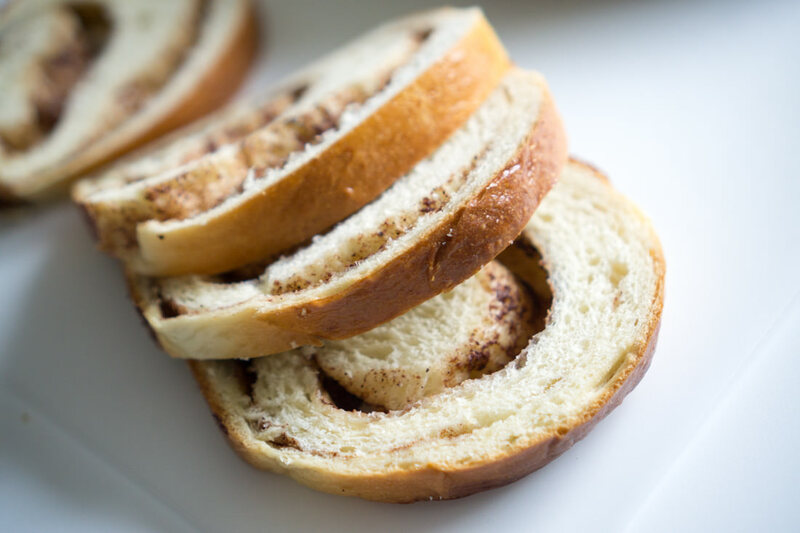 At home, we sliced into it and was shocked to discover a molten swirl of cinnamon sugar, so lavishly applied to the bread dough that, post-baking and slicing, it oozed out onto the plate. Even I, doubter of brioche, loved this cinnamon-swirled loaf. We ate so much of the brioche that we had to impose diets on ourselves shortly thereafter, and we were sorely disappointed to learn that they had removed the cinnamon-sugar brioche from the menu. So, for some time now, I’ve had both Japanese milk bread and cinnamon sugar-swirled brioche on the brain. I’ve tried to unite the two in this recipe. Turns out, cinnamon-sugar swirl and Japanese milk bread make a great pair. The Japanese milk bread technique is a pretty brilliant one, and now that I’ve baked with it, I will probably replace all of my white bread recipes with this one. 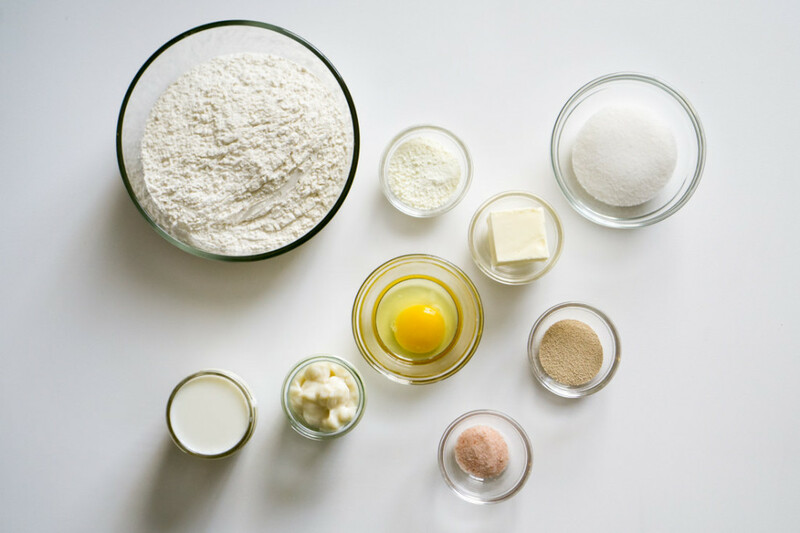 The basic recipe involves the making of a flour-milk-water roux, which is fast and easy: most of the time involved in making the roux is the waiting time for the roux to cool down. But taking those extra 20 minutes is really worth it–the roux magically makes the bread softer, rise higher, and keep longer. 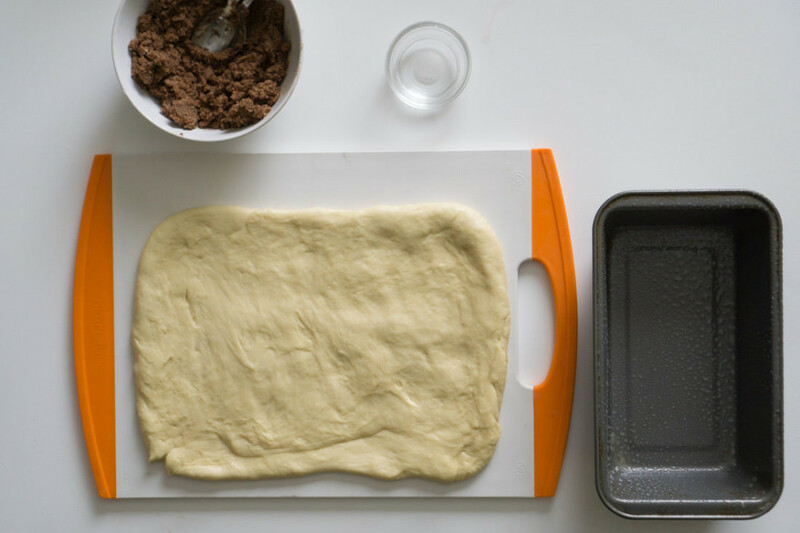 It’s like a dough conditioner without all the icky chemicals! After the roux cools down, I just prepared the bread dough like normal. I made the dough in my Kitchenaid with a dough hook, which made short work of the sticky dough (approximately 6 minutes at a medium speed). The machine kneading produced a soft, silky, slightly sticky dough. While waiting for the dough to finish its first rise, I creamed butter with sugar and added cinnamon to make the filling for the cinnamon sugar swirl. After the first rise, I punched down the dough and patted it out to fit into my loaf-pan, jelly-roll style. I sprinkled and patted on the cinnamon-sugar mixture, and flicked water over the top. 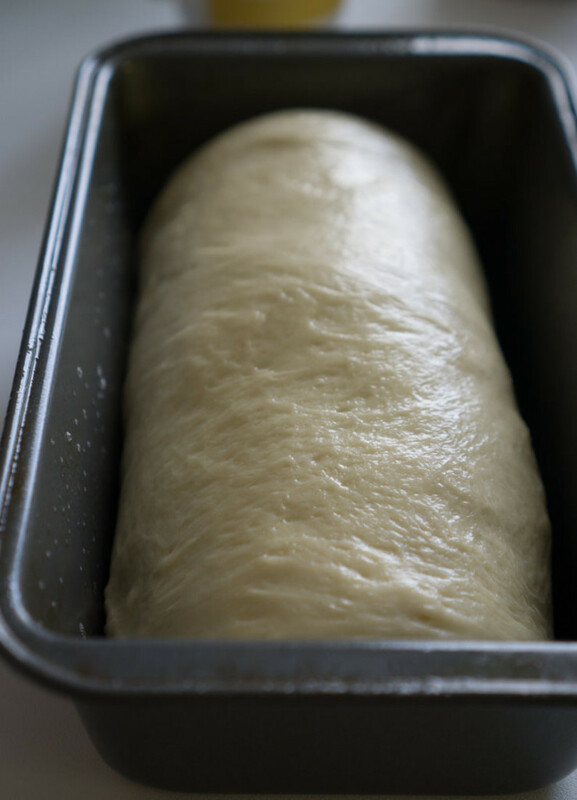 After rolling it up into a jelly roll, I pinched the seams closed and placed the shaped loaf, seam-side down, into a lightly greased 9×5 loaf pan for the second rise. Japanese milk bread with molten cinnamon-sugar pockets! 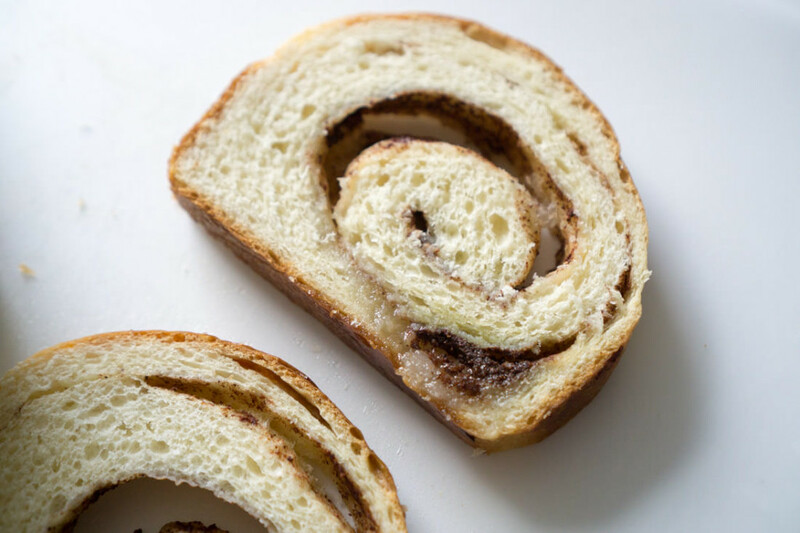 It’s densely fluffy and milky-rich, with sugary swirls of cinnamon butter. It’s good both cold and toasted, and would probably make a wildly delicious french toast or bread pudding, if any of the bread actually lasts long enough to go stale. While it’s not quite as decadent as the Milo & Olive version, perhaps there’s a silver lining in that: hopefully, you won’t need to go on a diet after you eat this bread. 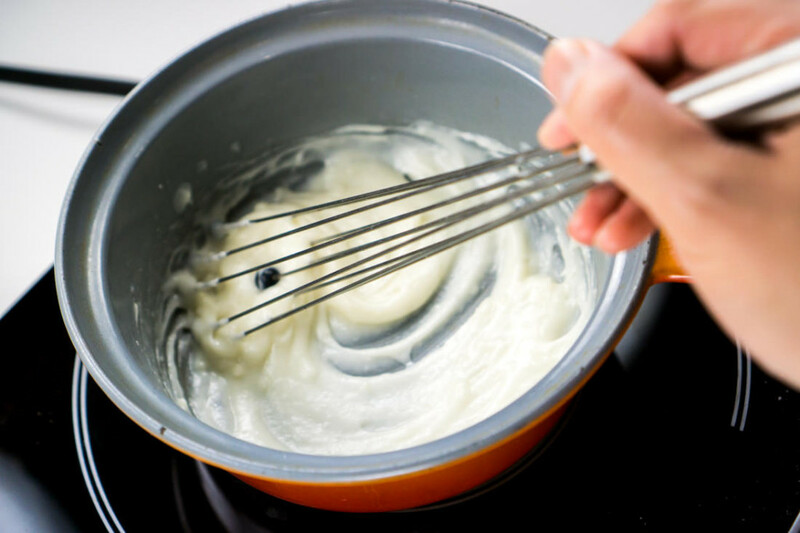 Combine all of the ingredients in a small saucepan, and whisk until no lumps remain. 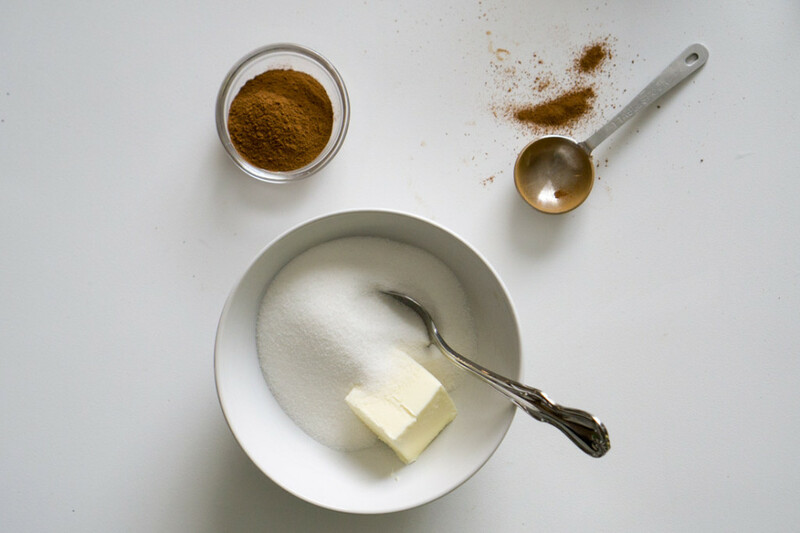 Cream the butter with the sugar, and then add the cinnamon. If easier, you can mix the ingredients with your fingers. You will get a moist, chunky/sandy mixture. 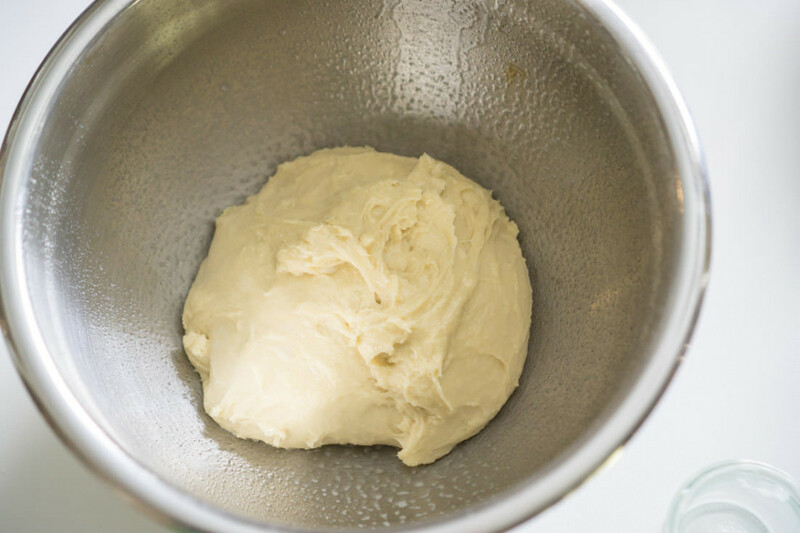 Combine the tangzhong with the remaining dough ingredients, then mix and knead — by hand, mixer, or bread machine — until a smooth, elastic dough forms. 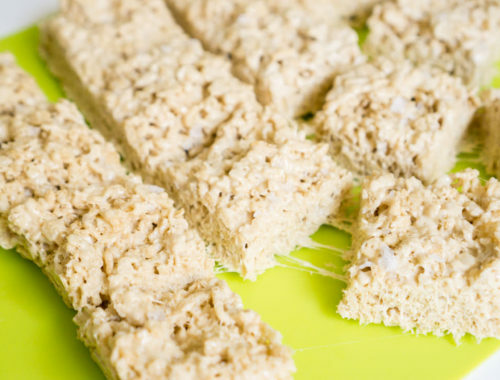 Gently deflate the dough, squishing out all the bubbles you can, and pat it out to a 9x15 rectangle. 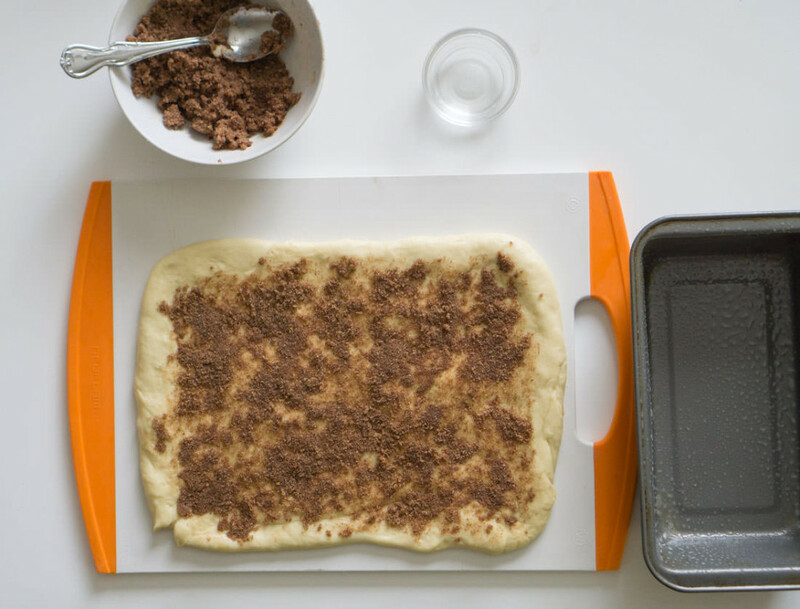 Sprinkle the cinnamon-sugar filling on top of the dough, leaving a one-inch border all around the filling. Pat out the filling so it adheres to the dough. Sprinkle about 1 tsp. water over the filling. 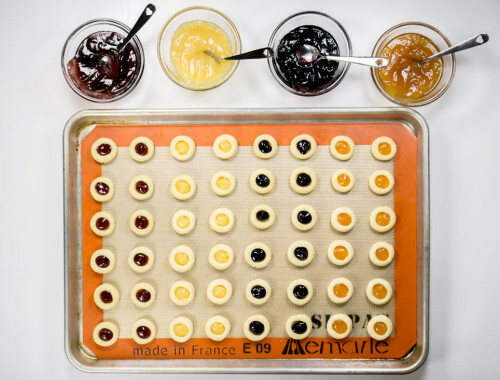 Starting from a short end of the dough, roll up the dough tightly until you get a jellyroll. Pinch the seam closed with your fingers. 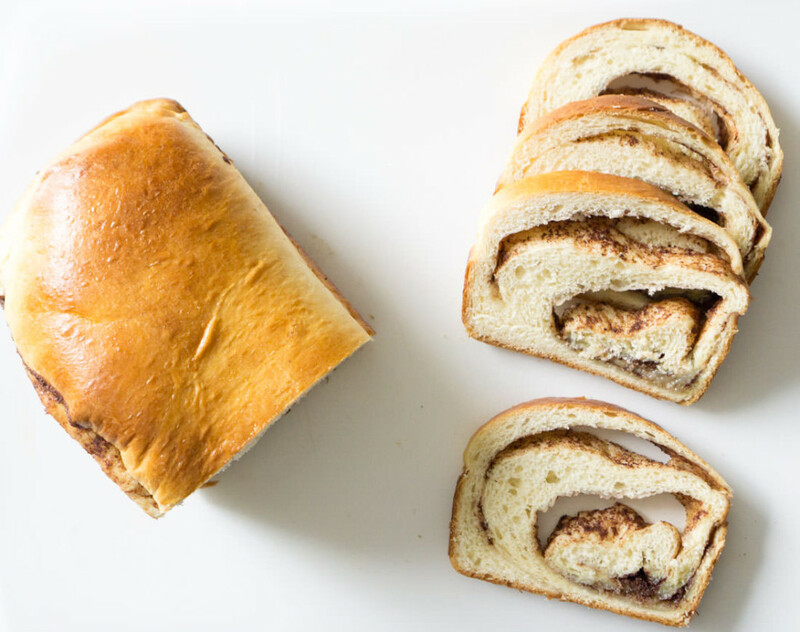 Place the jellyroll, seam-side down, in a lightly greased 9x5 inch loaf pan. 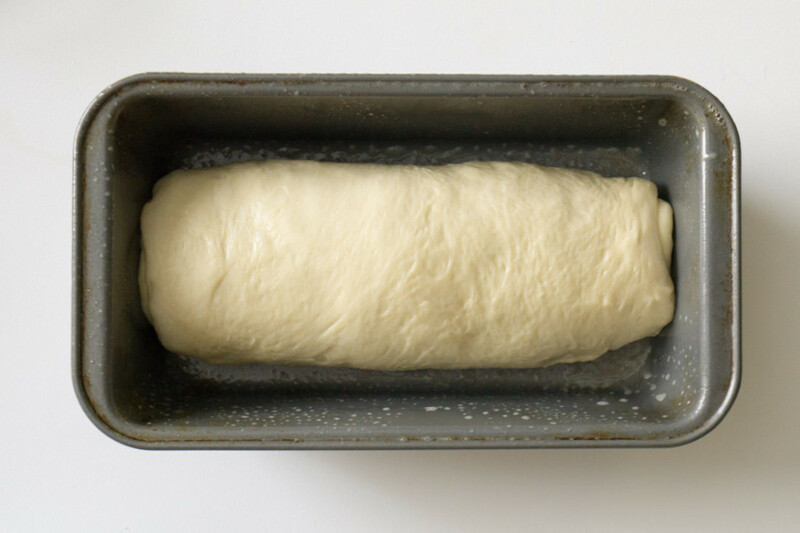 Cover the loaf and allow it to rest/rise for 40 to 50 minutes, until puffy. Brush the loaf with milk or egg wash and bake at 350°F for about 30 minutes, until golden brown on top and a digital thermometer inserted into the center of the loaf reads at least 190°F. Remove the loaf from the oven, and cool it on a rack.